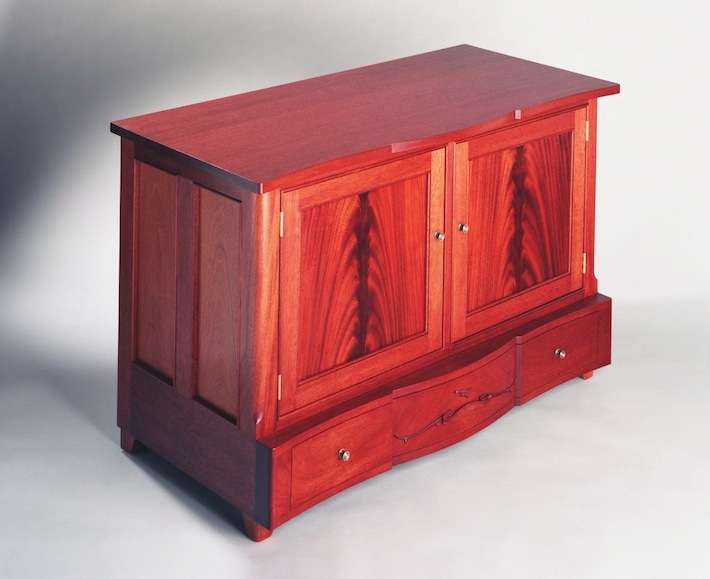 This cabinet, featuring crotch mahogany veneered doors, was the third in the Serpentine commission. Built out of matching pattern grade Honduras mahogany. This cabinet was designed to house their entertainment system. The top and drawer match the sideboard serpentine design. The single large drawer holds over 100 CDs and is adorned with a carved mahogany violin and scroll. Hardware is also Whitechapel Ltd., and the finish is stain under a hand rubbed varnish.